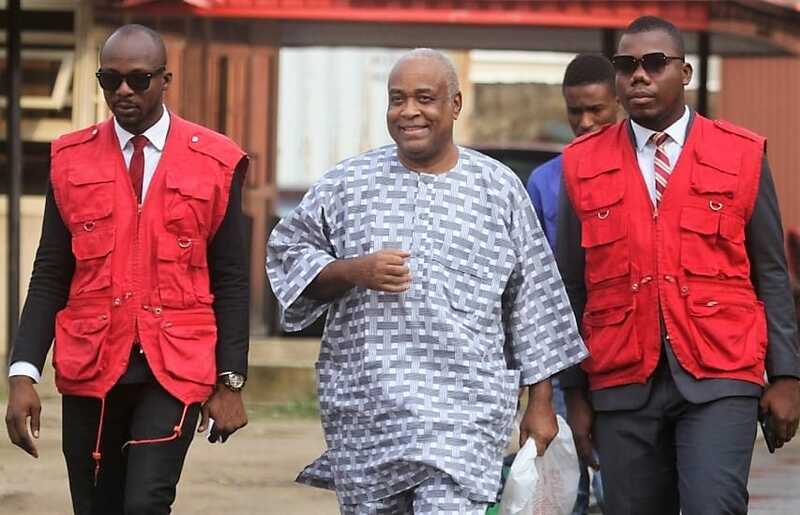 THIS IS NOT A GOOD TIME for the younger brother of late Stella Obasanjo, JOHN WERIMEME ABEBE as he is presently cooling off in Ikoyi prison, Lagos as ordered by the court on matters relating to fraud, forgery, fabricated evidence and distortion of facts. He was involved in falsely issuing out $4million to business partners who were unsuspecting of his antics. 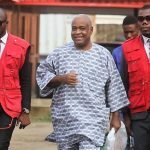 Corroborating this view, Nigeria’s anti graft agency, Economic and Financial Crimes Commission, EFCC, Lagos Zonal Office on Thursday, July 26, 2018, arraigned Abebe before Justice Mojisola Dada of the Special Offences Court sitting in Ikeja, Lagos on a four-count charge bordering on forgery, fabricating evidence, using fabricated evidence and attempt to pervert the course of justice. The defendant pleaded not guilty to the charge when it was read to him.The defence counsel, Uche Nwokedi, SAN, however, informed the court of a bail application. He also prayed the court to remand the defendant in the EFCC custody, pending the outcome of the bail application. Further investigation by Naija Standard showed that Abebe had allegedly been having financial crisis and struggling to survive, an action which emboldened him to route his criminal activities into altering the contents of the letter head paper of BP Exploration Nigeria Limited so as he may corner huge sums of money for himself. Consequently, Justice Dada adjourned the matter to August 2, 2018 and ordered the defendant to be remanded in Ikoyi prison custody pending the hearing of the bail application.